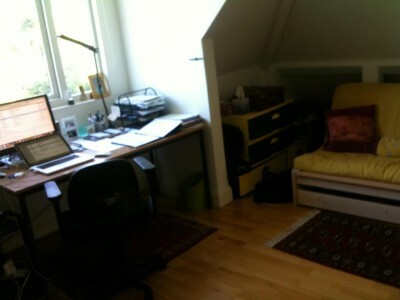 We started Inviqa in 2007, from my loft in North London. From the beginning, Paul Wander and I have always shared a room. Only until very recently, when we were over 100 people strong, did we stop sharing an office. We loved it this way; total openness, honesty and sharing. We’d contemplate, get energised, motivated and inspire each other. Great team work! We always knew what we wanted to do: build the biggest and best PHP company in Europe, focusing on open-source software. After the first few hires, we moved to serviced offices in North London. We had a London office, with Lorna Jane working from home in Leeds. By the end of 2009, we were already 28 people, all London based (apart from Lorna) and doing business with companies like the BBC, Channel 5, Ladbrokes, Plusnet, Estee Lauder, and more. In December 2009, Lorna told me about these two guys in Sheffield, Ben Longden and Rowan Merewood, who were excellent developers and very active in the PHP community. I told her I would be happy to see their CVs, but had no intention of having a team in Sheffield. I mean, I knew of Joe Cocker, British Steel, Sheffield Wednesday, and United, and was once at a game at Hillsborough, but of all places in the UK, why Sheffield? The CVs arrived and I was very impressed. Solid degrees, great experience of Enterprise PHP, active in the community, involved in O/S projects – wow! Even Ivo Jansch (our then CTO) thought they were worth perusing. So we went through our whole recruitment cycle, and the guys came out with flying colours – as senior developers. They quickly progressed to becoming team leaders. What a dilemma! I knew how difficult it was to find this calibre of developers, but how could we make Sheffield work, when everyone else was in London? Their response was intriguing: 'We’ve put a lot of serious thought into what would be needed to make Sheffield a success. I’m pretty confident we’re up to the challenge. It would be great to bounce our ideas off you and see where we can go from here. Why don’t we come to London one evening and discuss it? We believe we can make this work'. So, on the 9th of December 2009, at my favourite Turkish restaurant in North London, we met Ben and Rowan. After a three-hour dinner, Paul and I were totally convinced that the pair could succcessfully open and grow a Sheffield office. We were blown away by their attitude, experience, desire, drive, and passion for PHP and open source. Their plan was simple: recruit PHP developers in the Sheffield area (many of whom they knew well), and integrate them into the wider company. They both had experience in leading and running virtual teams. Although we had used this concept in London, this was a big step for us, but Ben and Rowan made such a convincing case, that we were completely sold! So we did it! Ben and Rowan joined us in early 2010, starting on sofas in a serviced office in Sheffield town centre, then gradually growing the team by hiring local software engineering rock stars. Five years later, we have expanded the Sheffield office four times, and the team is now around 20 people strong. Since the launch of the Sheffield office, Ben and Rowan acted as office managers. They were involved, and sometimes had the final say, in all major Sheffield decisions. Ben is now our CTO and still runs the Sheffield office. Rowan, unfortunately, decided to join this little unknown company called Google, but we are still great friends! Setting up the Sheffield office was probably one of the best business decisions we made. The quality of the people there is superb, their contribution and enthusiasm is infectious, and their team spirit and bonding with the rest of the company is fantastic. The best thing of all is that we’re recognised as the leading PHP company in Sheffield. We replicated Sheffield's success in Liverpool, Manchester, Leeds, Edinburgh, Glasgow, and, very recently, Brighton. We’re always looking for local talent in a university city with strong computer science departments. We now run projects with distributed virtual teams who communicate on a daily basis, (Agile, Scrum) and who regularly meet each other in person for sprint planning sessions and demos. These teams are delivering some of the largest PHP and ecommerce projects in the UK. The strategy is for every office to be completely self-sufficient and to be able to take on large projects that demand the full range of roles. Sales, marketing, admin, HR, and finance are taken care of by the group HQ in London. The other offices can focus on what they are good at and what they love doing: the geeky stuff! Our satellite office strategy has helped us attract clients from all over the UK. We’ve seen cases where some customers chose us because we have a local office, which means that they can engage more closely with our teams, either at our offices or theirs. Another very significant motivator is the local PHP community. We want to help local communities grow and we do this by sponsoring, hosting, running, and owning certain events such as user groups and conferences. More on that in a separate blog. We’ve seen over the years the phenomenal growth of PHP. Gone are the days that it just for hobbyists. Now it’s mainstream and used in over 90% of large enterprises. PHP communities. We want to be close to them in order to help them grow and make them a source for recruitment. University cities. As we are looking for software engineers, being close to universities with strong computer science departments was a major consideration for recruitment. Customers. Being close to our client’s own HQs and regional offices enhances our chances of winning business and improves our communication and engagements. Costs. London has become extremely expensive. Other UK cities hold great potential at more affordable rates. Competition. London has become so competitive. Regional offices can help your business get the edge in a crowded UK marketplace. My advice on how to make these satellite offices work will be explained in a following blog, but one thing is for certain: for every office, you need a dedicated, ambitious office leader, a person who wants to make it happen, who knows the city, and will take responsibility and accountability.